The National Association of Realtors do see interest rates going up and I believe most reasonable people if asked in a survey, would say there’s a greater chance rates will go up then go down from current levels. But by how much will they go up if they do? 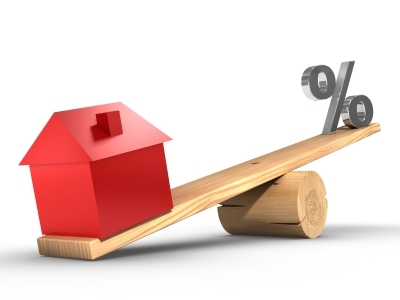 The NAR believes that for 2015, rates will be just under 5% and for 2016, rates will increase to about 6%. What does that mean in terms of dollars and cents? Well for a home purchase of $2,000,000 and a loan of $1,400,000 a quick survey of interest rates shows rates between 3.9 and 4.25% with varying lenders. At 4.25%, your principle and interest payments on a 30 year fully amortized loan would be $6,887.16/mo. If rates rose to 6%, that same loan amount would carry a payment $8,393.71/mo; a difference of $1,506.55/mo, $18,078.60/year . Will that mean home prices will fall? I don’t think so. Being in the business now for over 30 years, I’ve seen three major market cycles and I’ve observed economic waves in which because of improving jobs, improving consumer sentiment each cause home prices not only to remain steady, but to increase even in the face of rising interest rates. He does project that existing home sales will fall below that of 2013 and that makes sense as prices are up. In fact he projects that the national median existing home price will rise about 4% in 2015 and about 4% in 2016.